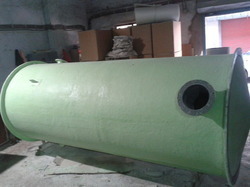 Pressure vessal, horizontal & vertical chemical tank, agitator & mixing tank, frp ducting, fume extraction, blower. We are offering our valued clients DECompression Chamber Tank For Human Occupancy. Based on latest technology. Besides, to cater to the divergent demands of the clients, we offer these products in different specifications. Vishnu Tanks & Vessels Pvt. Ltd.